In a large study recently published in The Journal of Infectious Diseases, the high-dose flu vaccine was found to be more effective in preventing influenza-related deaths among seniors than the standard-dose flu vaccine. These results were found to be especially relevant during severe flu seasons and added to previous research that revealed that a high-dose flu vaccine could be better suited for preventing influenza infection and related outcomes in older adults, such as hospitalizations and doctors’ visits, than the standard-dose vaccine. Seniors are among the most at risk for poor outcomes and serious complications related to the influenza virus. In recent years, approximately 71 to 85 percent of influenza-related deaths occurred among individuals that were 65 and older. Study author Dr. David K. Shay of the Centers for Disease Control and Prevention explained, “This is the population that everybody worries about. Many of the most serious outcomes of flu infections occur in older people.” Because of this, the high-dose flu vaccine was introduced and approved for use in seniors in 2009 and has proven effective in lowering the flu-related mortality rate among this population. This recent study looked at data from Medicare beneficiaries aged 65 and older who received the high-dose vaccine or the standard-dose vaccine in the 2012-2013 flu season and the 2013-2014 flu season. The data showed that those who received a high-dose vaccine during the 2012-2013 season were 36 percent less likely to die in the 30 days following hospitalization or an emergency department visit linked to a flu diagnoses than their counterparts who were given the standard-dose vaccine. 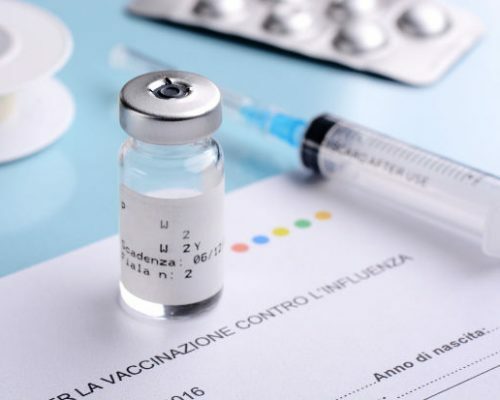 During the 2013-2014 season when the H1N1 virus was most prevalent, the effectiveness of the standard-dose vaccine had improved, though the high-dose vaccine was not significantly linked to a reduction in mortality rates as it had been in the previous season. The results of this study reveal that in the case of uncomplicated strands of influenza, a high-dose vaccine may be effective in protecting adults over 65 from potential complications including death. However, more complex strands such as the H1N1 virus are not as significantly affected by high-dose vaccines, meaning there is a need for further research into preventing complications due to these complicated variations of the influenza virus.